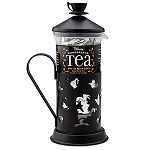 Our Alice in Wonderland Tea Cup and Saucer Set has everything you need for a tea party, including a Mad Hatter. 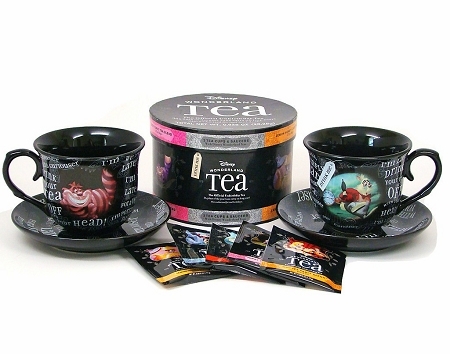 With two ceramic cups and saucers featuring all your favorite characters and 15 tea bags all nicely wrapped, it makes a great gift. 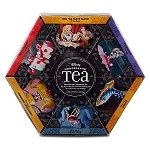 I love this set, it's beautiful..
Disney Wonderland Tea - Alice in Wonderland Gift Set - 6-Pc.